Come little ones, your pizza is here! What better way to impress the cute foodies than appear as a delicious pizza? 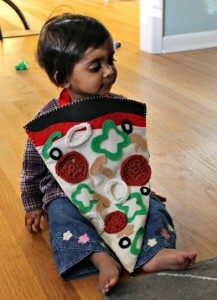 Resembling pizzas of varied shapes and sizes and with tempting toppings printed, they can sure make the little ones clutch your costume! 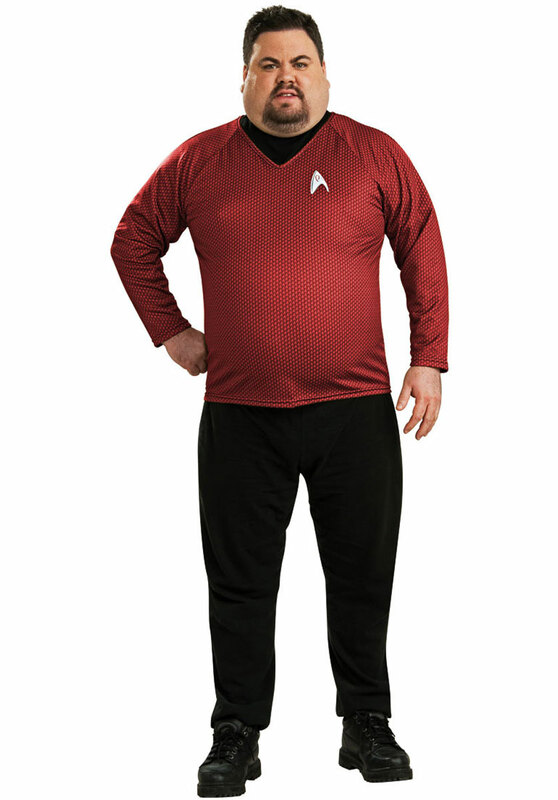 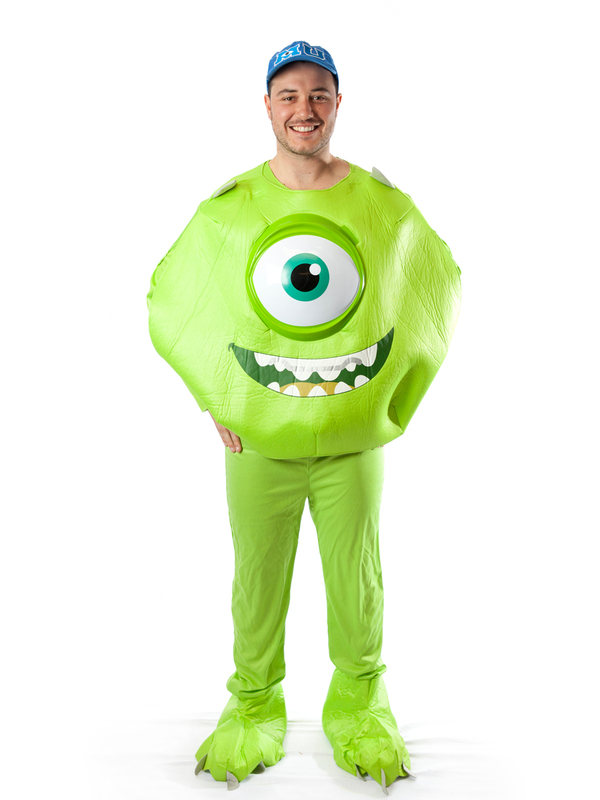 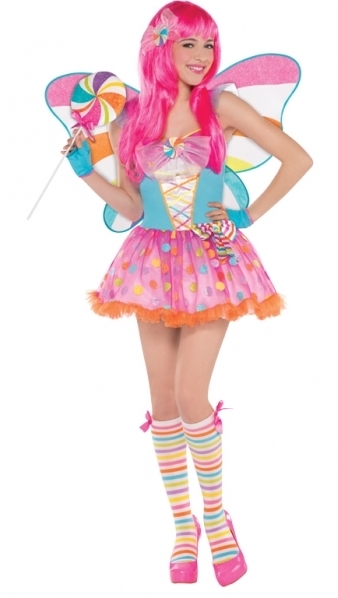 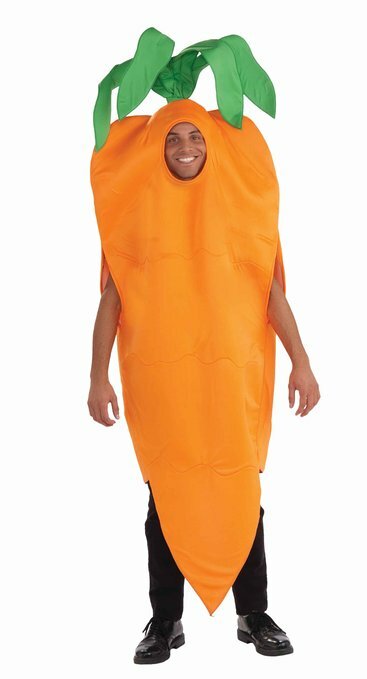 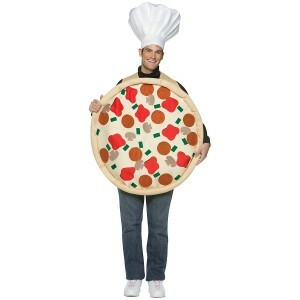 The costume for men may be round or triangular with a host of colors and shapes. 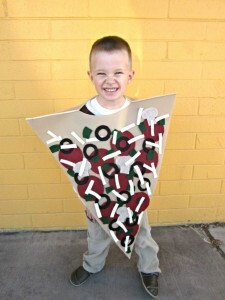 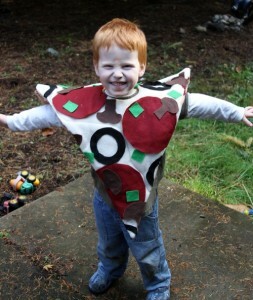 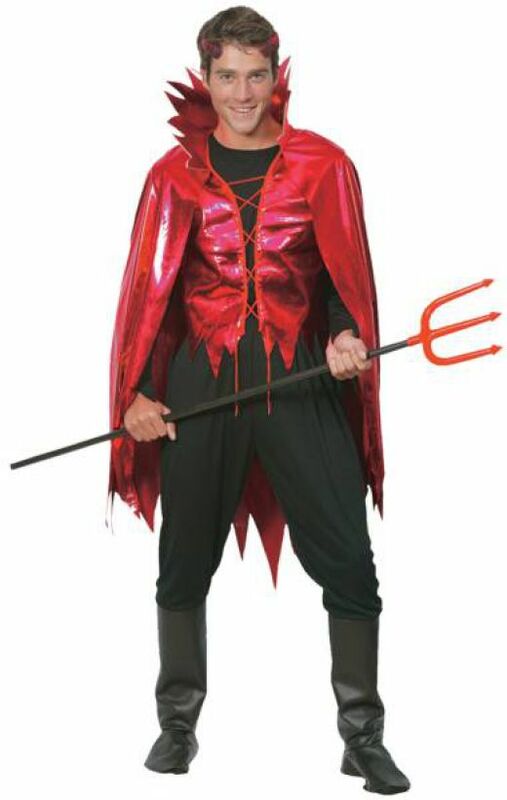 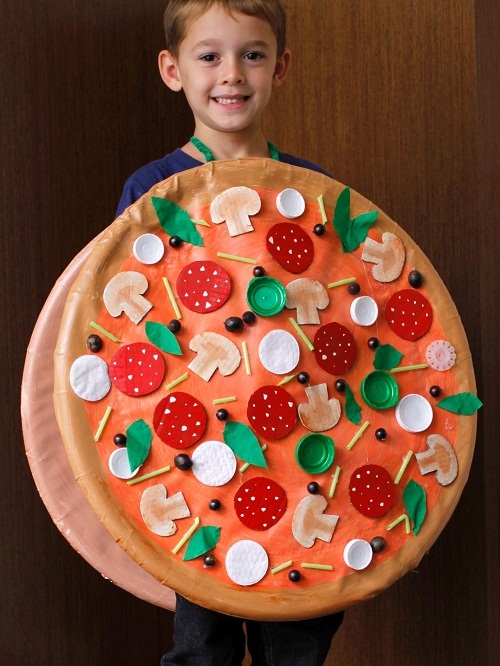 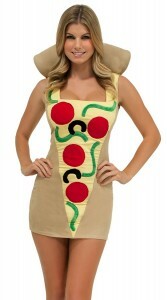 This costume resembles a pizza sauce bottle and contains a white colored nozzle too. 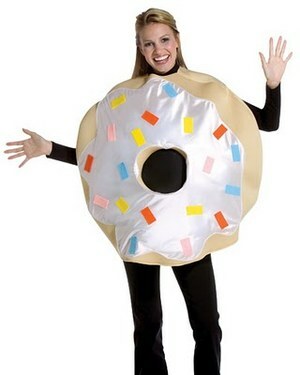 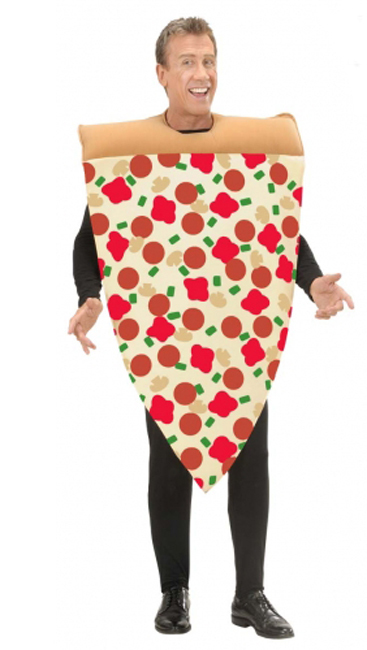 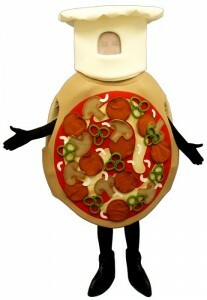 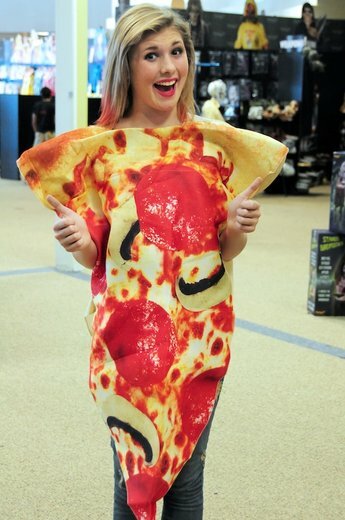 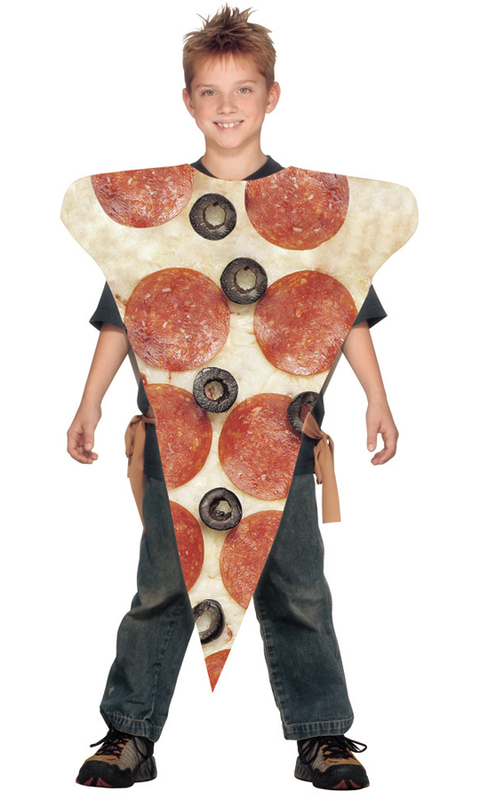 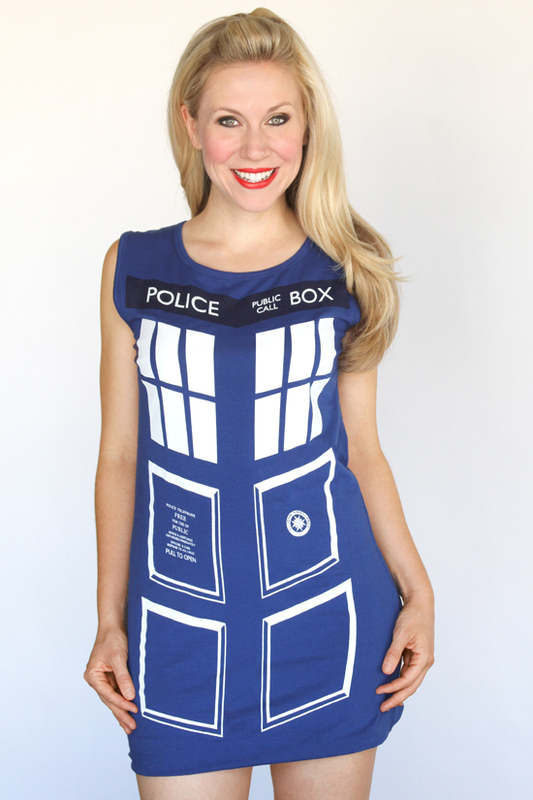 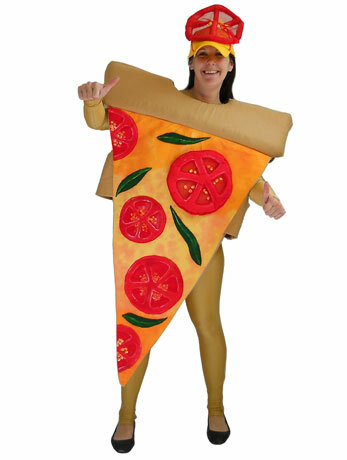 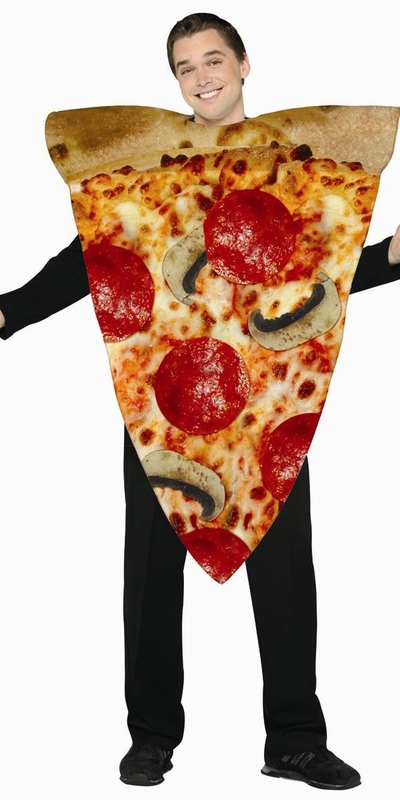 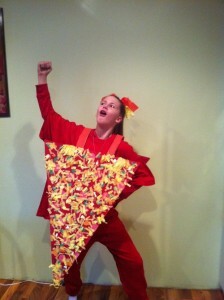 The costume for women can be either printed with a design of a pizza or be a cloak in the shape of a pizza. 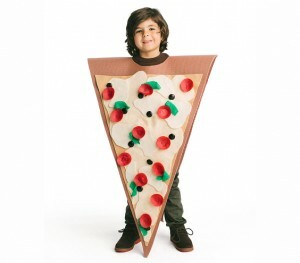 The ones for kids come mostly in triangular shapes and have various designs printed on a white base. 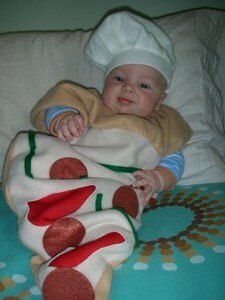 To ensure total comfort, the pizza costume for babies are full length and contain a cute toque.